It’s that time of year where we reflect on the past year and gear up for even bigger results in the year ahead. In 2016, we saw a lot more event-like thinking, a bigger adoption of technology to streamline operations, and more tracking of data to optimize performance. In 2017, we can expect to see an increase in those areas while we also embrace these following 4 trends. 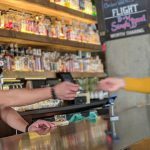 Nearly every industry has shifted its focus to providing one-on-one personalized service, except for the nightlife industry. We’re still operating with pen and paper, and not getting an accurate understanding of who are guests are. And when guests are used to being treated like an individual everywhere else, it’s hard to go somewhere where they’re treated like a number. Being more personal with your customers is a huge opportunity and is easier than you think with the right system that collects data. After all, 90% of consumers surveyed said they’re willing to provide their information as long as they get personalized service in return. Part of creating a demand for your party is getting people committed to show up. That’s where pre-selling comes into play. Having tickets already sold to an upcoming event creates a sense of urgency that they’re going to be out before the night of the event. The same is true for VIP tables on any given night. That sense of urgency — or the sense that the supply is decreasing — creates demand. Pre-selling your inventory not only creates this demand, but it also guarantees your revenue before the night begins. 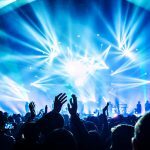 Look for a system that helps you manage all of your pre-sale inventory, from tickets to tables. After several seasons of complex, local, and season cocktails, we’re going back to the classics. Top mixologists around the country are agreeing on the approach of simple ingredients to make classic cocktails (but still with attention to details we’ve seen these past years). Vermouth is making a strong comeback with the rise of Manhattans and Negroni’s, and Amaro continues to tick upward in popularity. Either way, experts are looking forward to going back to classic cocktails made with quality spirits and few ingredients. We’re getting savvier as marketers and are now able to track where traffic is coming from, which promotions do and don’t work to bring in there right people, and whether your promoters play a big part in your marketing game. 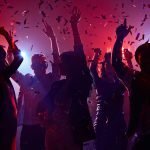 Just in the past few months, I’ve seen nightclubs track every aspect of their marketing, including individual Facebook posts and images along with individual staff members. They’ve been using the results to pump out more effective campaigns to bring in higher spending guests. This is powerful marketing, and what’s going to take you to the next level in 2017.